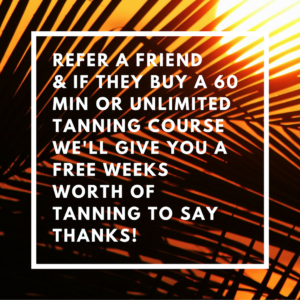 Welcome to Sunny Spells, Worcester’s leading tanning and beauty specialists. New flawless all over St tropez spray tan in minutes, an even natural looking tan. We offer a number of treatments including: Waxing, facials, manicures, pedicures, massages, full body exfoliation, eye brow and eyelash tints. The waxing includes: Underarm wax, full leg wax, brazilian wax, hollywood wax, bikini line, eyebrows, chest, tummy, forearm, and back. Aromatherapy, Back, full body, leg and foot. We have a number of treatments available for men. From waxing to tanning. Gift vouchers can be bought for a specified treatment or for any monetary value.